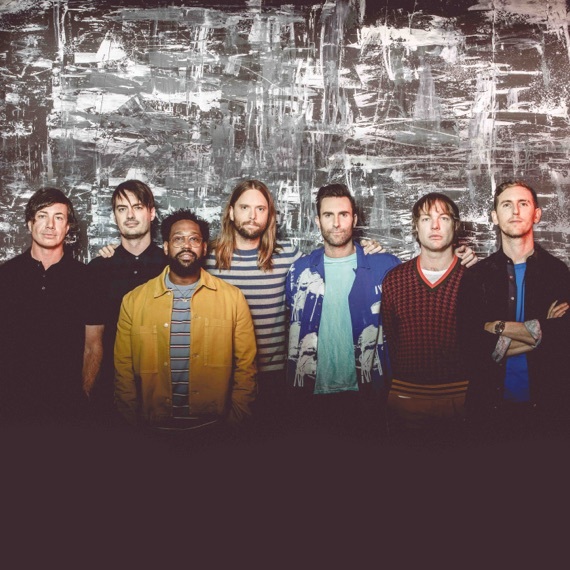 Maroon 5, Travis Scott, and Big Boi have finally been officially announced as the Super Bowl 2019 performers for Super Bowl LIII on February 3, 2019 in Atlanta. After some back and forth with a lot of controversy, Maroon 5 is finally set to headline the Super Bowl halftime show in 2019. Maroon 5 will now join Lady Gaga, Coldplay, Katy Perry, and Bruno Mars in the ranks of headlining the show in recent years. The show will take place in Mercedes-Benz Stadium in Atlanta, Georgia on February 3, 2019. Maroon 5 has won three Grammys out of 13 nominations with the most No. 1 songs on the top 40 chart in the last 20 years at nine top songs. They've sold over 50 million albums and nearly 50 million singles. New comer Travis Scott and Big Boi from Outkast will accompany them. This means you can expect to hear some of those big songs from Maroon 5 you've heard over the years on the radio performed live. "Makes Me Wonder", "Moves Like Jagger", "One More Night", "Girls Like You", and many others can be expected. They're currently in the middle of their 2018-2019 tour for their album Red Pill Blues that came out in 2017 so this Super Bowl performance fits nicely into their schedule and gives them a chance to cement their place in history. They started their tour in March 2018 with their last show in Las Vegas on New Years Eve. They will then play the Super Bowl on February 3, 2019 before embarking on the next leg of their tour in Australia at the end of February. Travis Scott has been nominated for Grammys six times. His latest album Astroworld which came out in August has been in the Top 10 albums in December and is nominated for best rap album at the 2019 Grammys. His track "Sicko Mode" is nominated for best rap performance and best rap song. Big Boi is from Outkast which has won six Grammys out of 17 nominations. They're known for "Hey Ya!" and "Ms. Jackson." There's been a lot of controversy regarding the Super Bowl in 2019. Our article on Maroon 5 And Travis Scott Are Locked In For The Super Bowl explained them in detail. Rihanna reportedly turned down the show and comedian Amy Schumer called for performers to stage a boycott all in support of Colin Kaepernick who is a former NFL player that refused to stand for the national anthem to show support for certain causes. People were also very vocal about a white band performing in the city with a deep black music background which inevitebly led to the two rappers performing alongside the band. Not to mention Cardi B Refused to Perform due to the movement. Many were concerned that no official announcement was made regarding the Super Bowl performers going into 2019 with only reports going around. But then those reports became more concrete as we reported in our article on December 20, 2018. After that, Big Boi and Cardi B were still undecided. It looks like they sorted it out with Big Boi deciding to perform while Cardi B decided to not perform. And now it's official.